Very pretty plate with basket weave and arcaded rim. 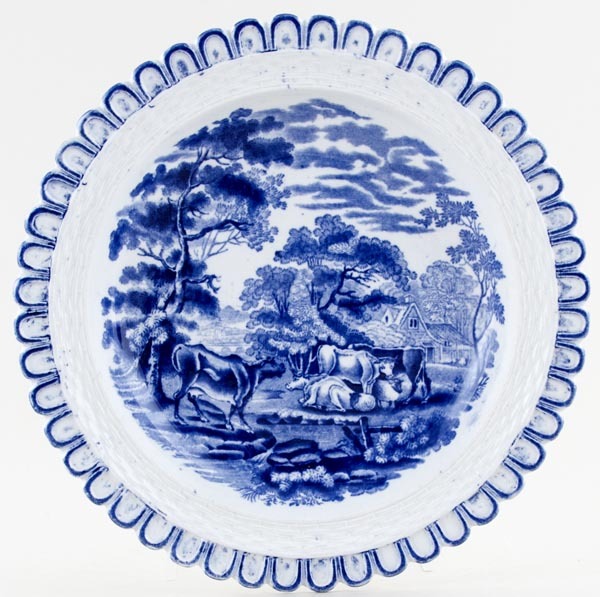 Backstamp: W Adams & Co Est 1657 Cattle Scenery Ironstone. General signs of wear mainly on the back and to the outer rim with a little surface scratching to the face.